When Mary Lennox is sent to live with her uncle in the English countryside, she is a very unhappy little girl. But when she stumbles upon a locked hidden garden she begins to grow and bloom. 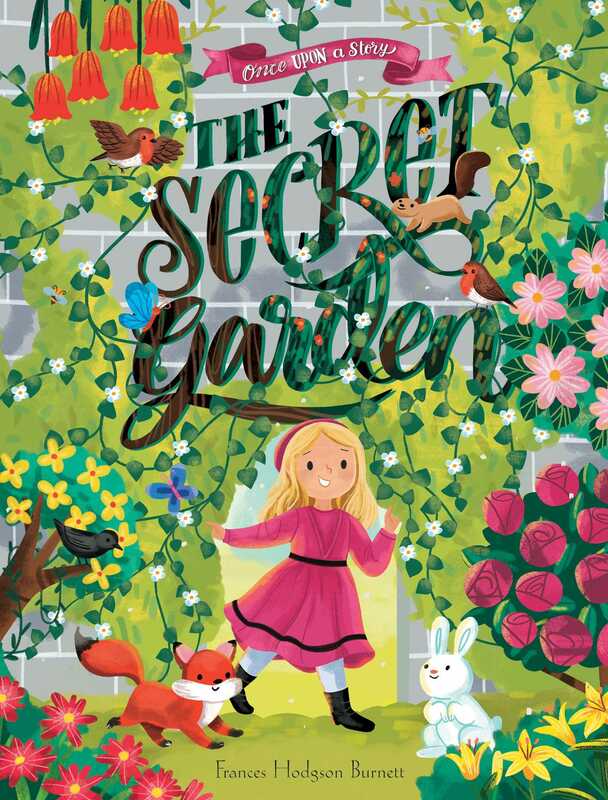 The classic story of The Secret Garden is presented with stunning, modern, colorful illustrations throughout, perfect to introduce to a new generation. This canvas cover book includes a ribbon bookmark, and foil and embossing on the cover, making it a wonderful gift edition to be treasured. Frances Hodgson Burnett (November 24, 1849 – October 29, 1924) was an English playwright and author. She is best known for her children's stories, in particular The Secret Garden (published in 1911), A Little Princess (published in 1905), and Little Lord Fauntleroy (published in 1885-6). She was born in Cheetham, England and in 1865 emigrated to the United States, settling near Knoxville, Tennessee.